Located in the Laconia region of the Peloponnese, the natural rock fortress of Monemvasia is a unique sight in a country known for its blue seas and whitewash architecture. With a population of around 15 inhabitants (and a sea of visitors throughout the year), the Monemvasia Kastro, is Europe’s only castle that has never ceased being inhabited. Perched off the east coast of the Peloponnese, Monemvasia appears from the mainland as a giant rock, linked to it by a bridge. The name Monemvasia is derived from the Greek mone and emvasia meaning ‘single entrance’. 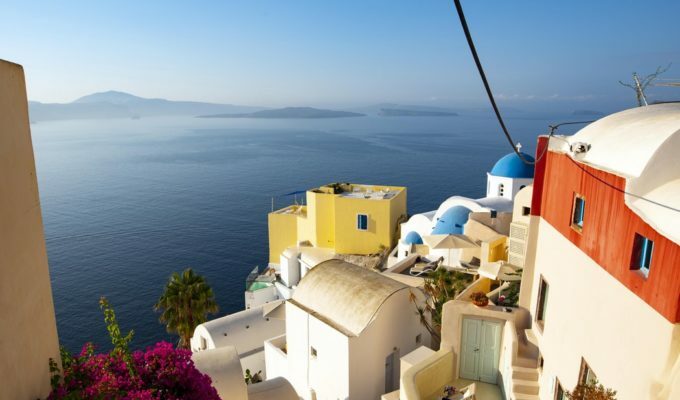 The town village is hidden from the mainland view with stunning vistas of the Myrtoan Sea. 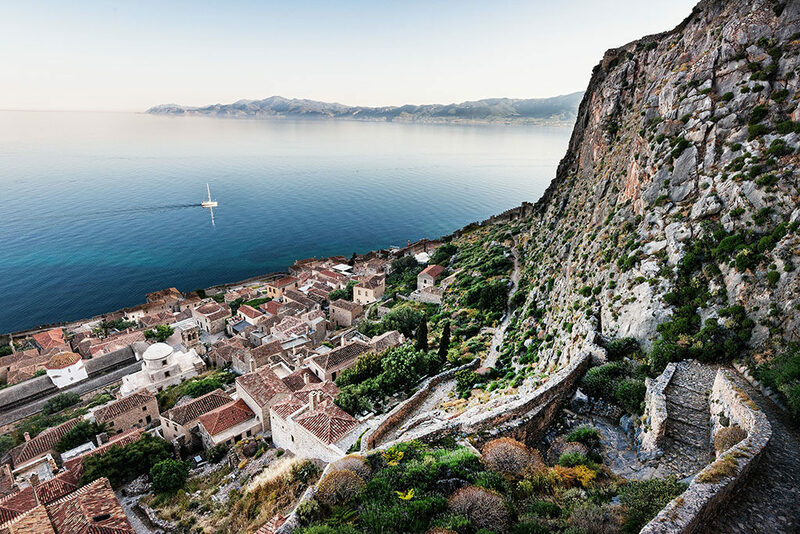 Monemvasia is best enjoyed by simply allowing yourself to get lost in the narrow passages and alleyways, filled with history and a sense of romance. Once you feel fully immersed in the wonder of the mystical town, here are five more ways to enjoy Monemvasia. In the Middle Ages, Monemvasia was renowned for its wine, Malvasia. 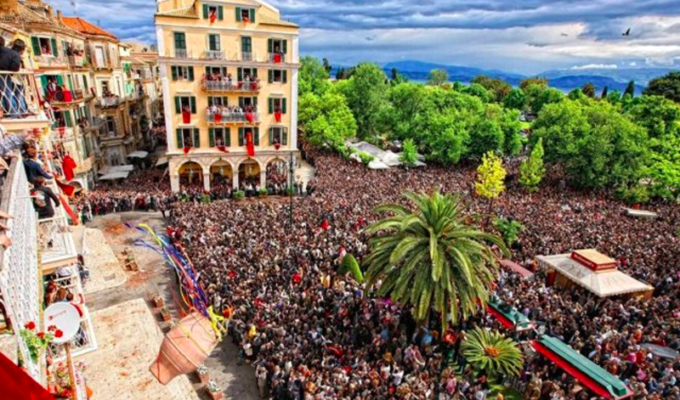 Merchants from the region would travel across the Mediterranean trading the sweet wine, known for its caramel colour and bouquet of candied fruit, orange confit, and honey aromas. 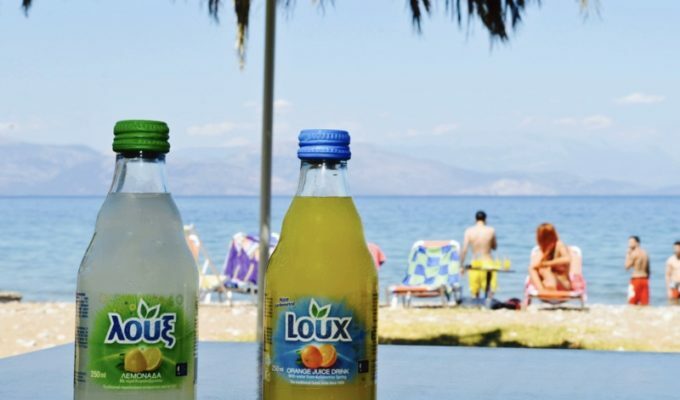 Malvasia is widely available throughout the delis, food stores and wine bars in Monemvasia and certainly worth a try. 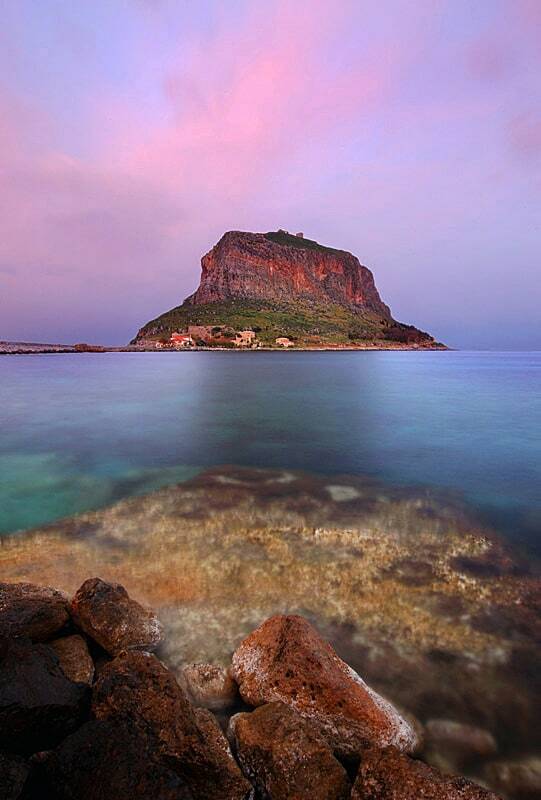 The first part of the rock to be inhabited was its upper part, which used to be Monemvasia’s wealthiest district. The ancient acropolis is a 20-minute walk uphill from the centre of the town (pro tip: wear shoes with grip as the rocks can become a little slippery under the sun). The walk up is winding, with spots of shade and charming homes that will provide ample distraction. 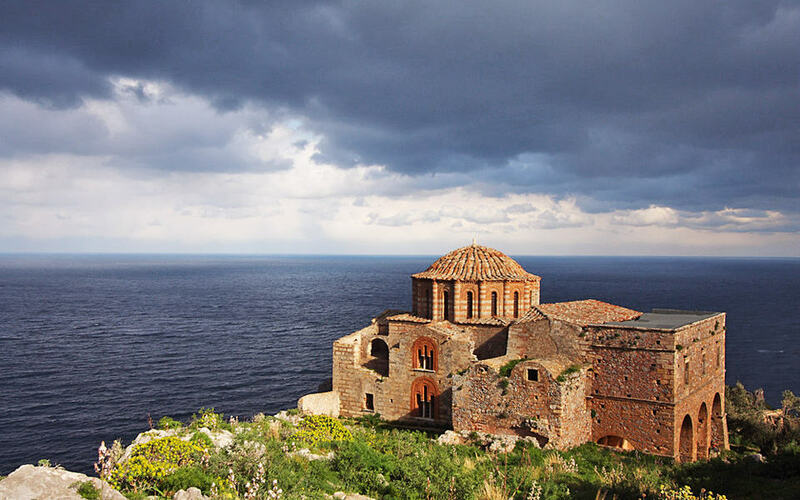 The 12th century Agia Sofia church is all that remains at the top, standing 300 meters above sea level with an impressive, sweeping view of the Myrtoan Sea. 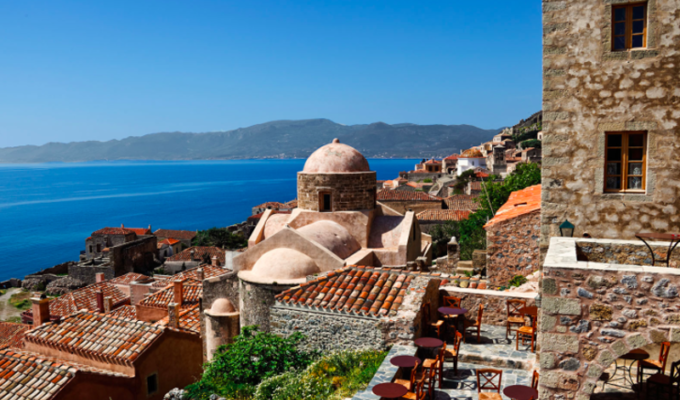 It is said that a total of around 40 churches existed in Monemvasia in the past. 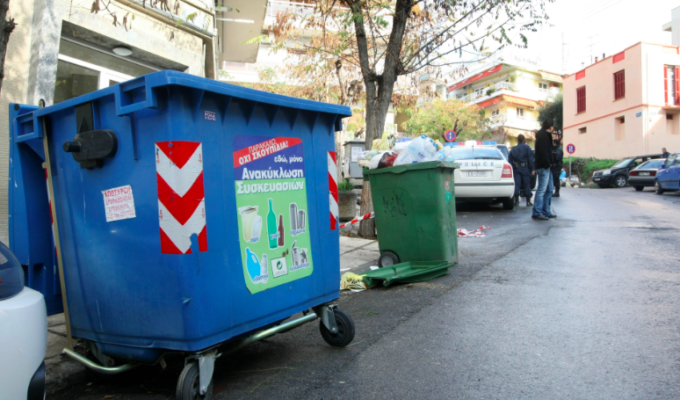 Presently, there are around 15 churches, including Christos Elkomenos, the gothic-tinged Panagia Myrtidiotissa, and Panagia Chrysafitissa. 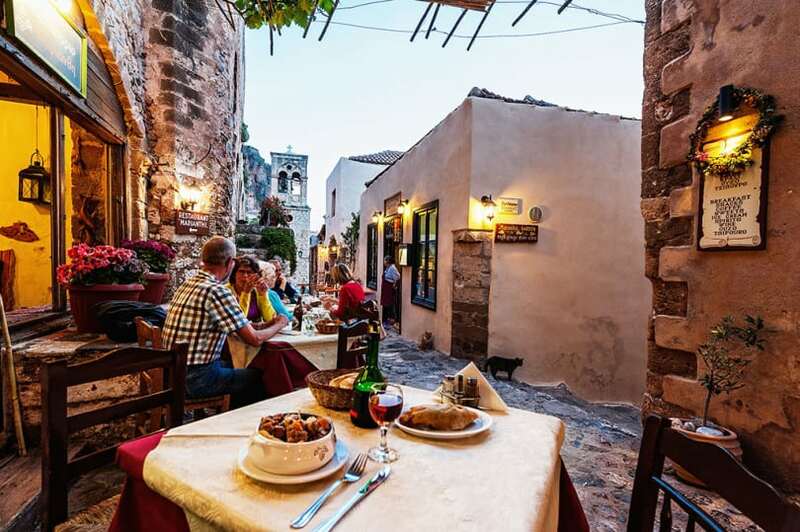 Being the oldest taverna in Monemvasia earns the much-loved Matoula taverna top points. Add to that its amazing sea views, vine-shaded terrace and classic selection of dishes, and it’s easy to see why it’s the most popular eatery in town. Taverna Marianthi is nestled unassumingly into the main alleyway of the town and while it doesn’t boast the impressive views of some of its counterparts, the food prepared lovingly each day will be the culinary highlight of your time in Monemvasia. 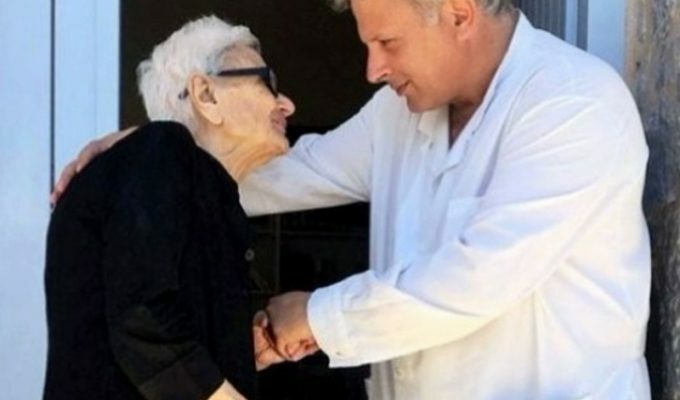 Simple, freshly made dishes like traditional Saitia pastry filled with spinach and feta-stuffed meatballs are served by larger-than-life character Magda who feeds the town (and the town cats) until the food runs out. 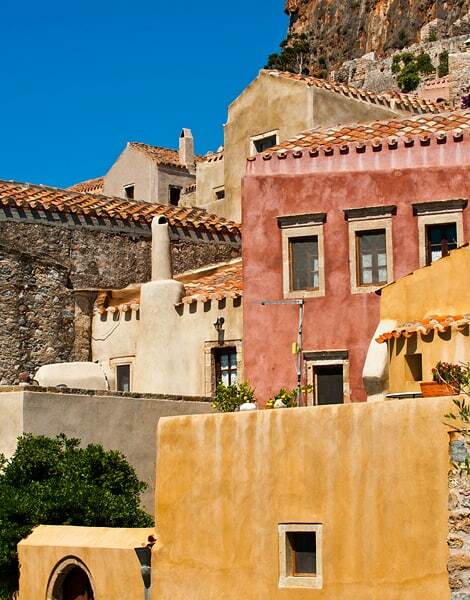 The narrow, bustling alleyways of Monemvasia add to its charm and atmosphere. For those travellers who wish to explore more of the stunning town with uninterrupted views, cross the bridge and enter the fortress just after sunrise and you’ll feel like you have the whole fortress to yourself. 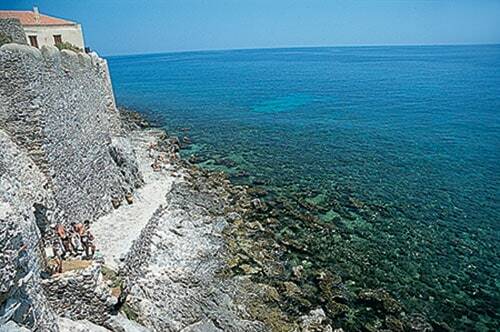 Famous Greek poet Yannis Ritsos described his homeland Monemvasia as a “stone ship”. While the medieval town is known for its hues of terracotta, burnt peach and stone, diving into the crystal waters at the cove of Portello will feel like you’re jumping off the deck of a stone ship! 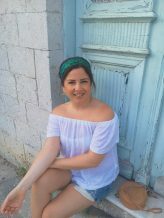 Gina is a proud Greek-Australian who is passionate about travel, writing and gastronomy. When she's not wandering around new places searching for undiscovered experiences, she works in Marketing & Communications and runs her own Greek-inspired e-store called Homer St.